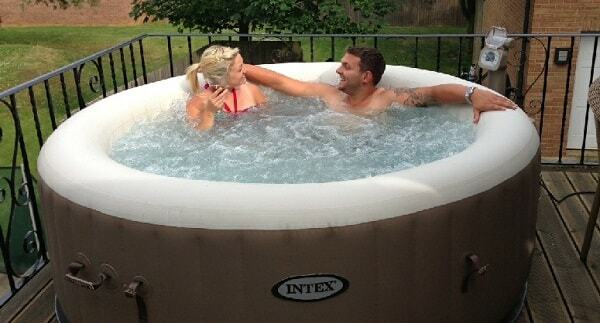 Portable hot tub becomes adored and adored through the years. 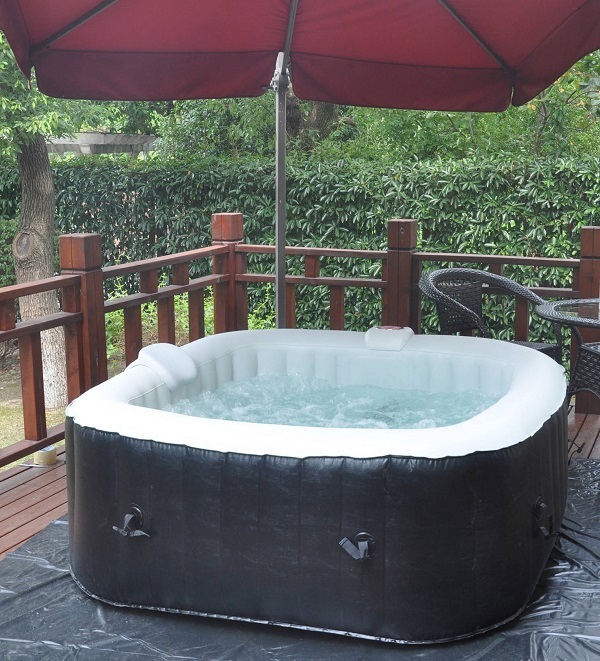 By its practical use, affordable price, and good performance people choose inflatable hot tub than the traditional one that is much more expensive to maintain. 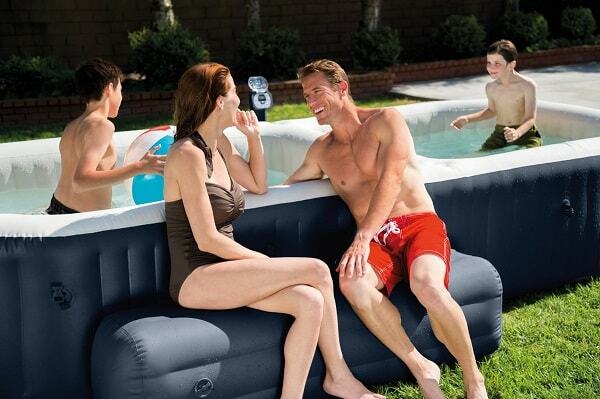 Lay Z Spa Inflatable Hot Tub is one of the most popular and best-selling portable spas in the world. Presented by Coleman, the brand that has involved in the recreational, outdoor, and sports products for more than 100 years with its high-quality construction and affordability reputation. By only spending around $599.99 (Amazon), you can get an inflatable hot tub which combines durability and valuable price. 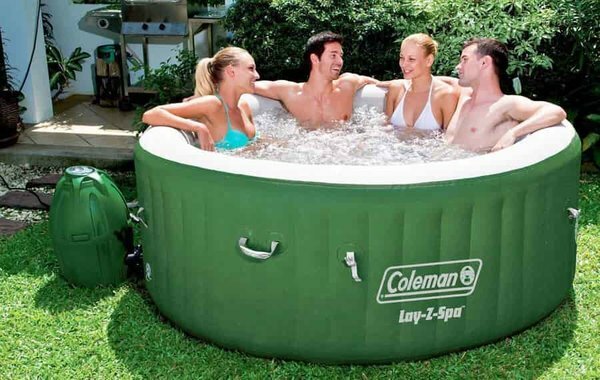 As the result of Coleman’s reputation, the Lay Z Spa is the strong-built portable hot tub which is covered by the durable 3-layer reinforced TriTech material with sturdy I-Beam construction. The vertical beam frame supports the vinyl panels inside the tub, so you can sit on the hot tub’s side without any fear of destroying it. Enjoy the maximum temperature up to 104 degrees F to soothe your muscle and improve your blood stream. The heat range is around 2 to 3 degrees F per hour, so you may need about 24 hours to reach the highest heat. The Lay-Z Massage System offers you the convenient hydro massage system which is powered by 120 bubble jets. It can give you a very comfortable relaxing sensation to restore your body and soul. Control the works of the tub from the digital control panel to set the temperature, activate the bubble, turn the water filter and lock the panel (to secure the panel from children). 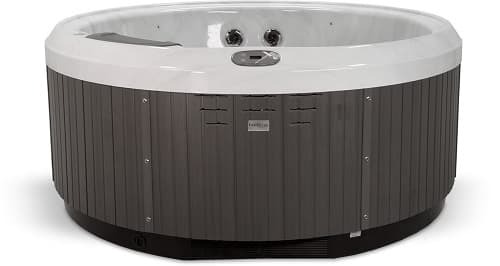 The tub has integrated water filtration which will keep the water clean during your spas time. It will be turned on as you start the heating system, and will filter continuously though the heat is deactivated. 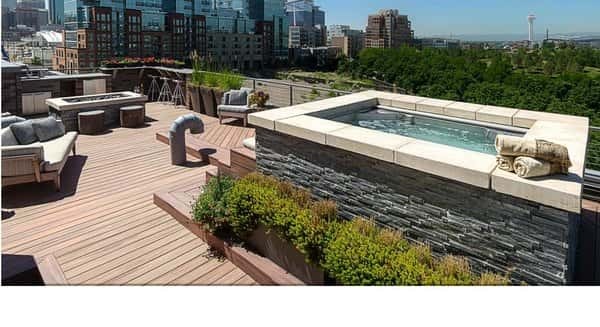 The tub is equipped with the top cover made from faux-leather that can keep the heat of the water with its foil lining and of course, protects it from debris or insects. A filter cartridge, air padded ground cloth (protecting the tub’s bottom) and floating chemical floater, pressure gauge, and valve wrench also include as the accessories. 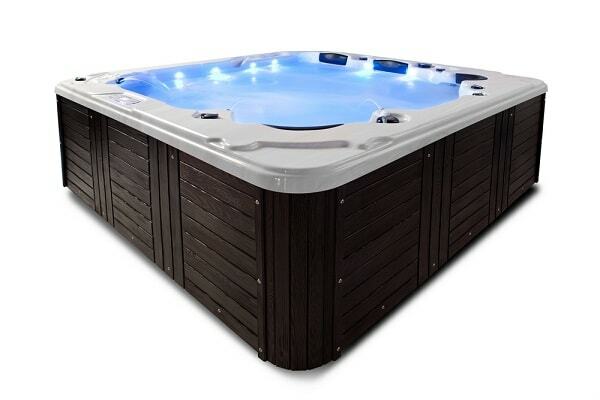 The Lay-Z-Spa Inflatable Hot Tub is another great choice of portable hot spa, its popularity proves that the tub gives the costumers convenient satisfaction. 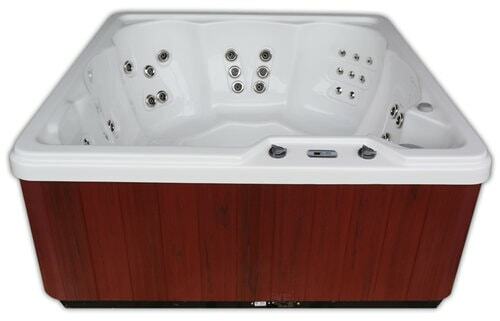 With the reasonable price and good durability, the tub is ideal to own as your relaxing asset. However, some owners have complained about the long time taken to reach the maximum the temperature of the water and you actually can’t use it when the ambient temperature drops to below 40 degrees C. Despite all of that, this model is still considerable to purchase.